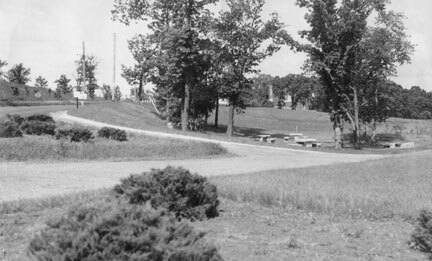 This was one of seven roadside parks built along Highway 100 in 1939. This one was located in Golden Valley. The photos on your site were looking west from Highway 100, with Glenwood Avenue on the upper left, and Lilac Drive (frontage road) cutting right. On the other side of our home was The Annex, a brick school building connected to Meadowbrook School which was down the small hill from the Annex. I believe The Annex has been a Boy Scout building in recent years. 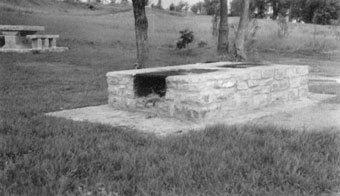 Our home was moved to Mankato when the land at Glenwood and Highway 100 was taken by the state to construct the access and exits for the expanded highway, about 1959. We moved across the highway to N. Ottawa Avenue, the high school road. Thanks, Jane, for your memories of this little park.